As most of our readers are already aware of cryptocurrency – how to buy, sell, and store it either in wallets or on exchanges. But what if I told you that there is a way to accumulate cryptocurrency without actually buying it? No kidding! It’s called cloud mining? Cloud mining is another way to acquire Bitcoin, or some other altcoin such as Litecoin, Dogecoin, Zcash, Monero, Dash, to name a few. 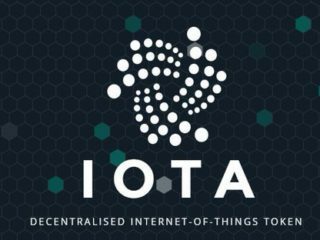 You do this by making use of computer power to verify transactions on the blockchain. Typically, when we think of cryptocurrency mining, we think of specialized hardware that is very expensive. However, you can get into the crypto mining business, without the hassle of purchasing and managing your own hardware. Cloud mining allows you to do exactly that – think of it as renting space on someone else’s hardware – while you earn your coins. 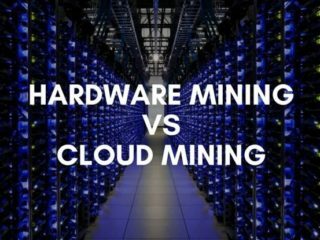 As we already know, cloud mining offers a mechanism to mine a cryptocurrency such as bitcoin without having to install all the hardware. There are companies that allow people to open an account with them and participate in the process of cloud mining for a basic cost. However, the process makes mining accessible to a wider number of people across distant locations. Cloud or remote mining is a process in which you rent or hire mining hardware to mine digital currencies remotely. And you won’t need to manage any specialized hardware. So anyone can take advantage of this technology. You don’t need to have any specific technical skills or knowledge, however, it’s important to understand the process of crypto mining. The process of cloud mining makes you a participant in a mining pool and involves buying a certain amount of “hash power.” Each participant has a rightful share of the profits in proportion to the allotted hashing power. Since cloud mining is done via cloud, it negates issues such as equipment maintenance or energy costs. Cloud mining is the process of buying CPU power from dedicated data centers who use their own equipment for bitcoin cloud mining or Ethereum cloud mining on your behalf. Renting ‘hash power’ (usually measured in Gigahertz per second or GH/s) also means you don’t have to deal with the heat and noise that comes with a DIY mining project. Many of these companies either source their own equipment or build it cheaply and have placed their data centers in countries like Iceland and China where electricity is cheap, passing the savings on to you. First you determine which provider you want to go with. Then you determine which deal you want to go for – whether it’s a 500GH contract or a 1000GH contract and for what term. Most Bitcoin contracts are for a year; however, some can be infinite. There are some providers who offer shorter and intermediate length Bitcoin or Litecoin contracts of between 6 Months and 24 months. Whenever you are ready, you can buy your first contract with one of the cloud mining companies. All you need to do is to pay the upfront cost, either in BTC or in dollars. They take care of everything. And if all goes well, you will receive a regular flow of BTC into your personal wallet. Meanwhile, some mining contract providers may charge you fees throughout the contract on top of the initial payment, which can distort the return metrics, and sometimes the mining contract provider can go bust or be a complete and utter scam. This is where you should be attentive to choose a trusted company, but not a scam. On the other hand, mining is the backbone of the cryptocurrency model such as bitcoin. It is the process by which transactions are verified and added to the public ledger, known as the blockchain. It is also the means through which new coins are released. The combination of the two opens the world of mining to people at distant locations with little or no technical knowledge and hardware infrastructure. As you can see, the process is very simple and only requires a person to open an account with a cloud mining company via its website and select certain things like the contract period and hashing power. However, the presence of fraudulent companies or imposters cannot be refuted, and thus one must be sure of the cloud mining company. Most cloud mining companies are scams. But why? Because it’s easy for companies to take peoples’ money, and then not to pay out. A company can claim to be a cloud mining company without any proof of actually owning any hardware. So remember: 99% of cloud mining companies are scams. So be careful and take some time to do your own research before investing at your own risk. Hashflare is a subsidiary of Hashcoins developed in 2013 by Sergei Potapenko and based in the city of Talin, Estonia. Hashflare offers you the chance to purchase hashpower for a variety of SHA-256 and Scrypt coins such as Bitcoin and Litecoin as well as Ethereum and Zcash. You’re also free to choose your own mining pool. Hashflare is open about its maintenance fees: they are $0.0035 for every 10 GH/s of SHA-256 coins and $0.005 for every 1 MH/s of Scrypt coins a day. Ethereum contracts are not subject to any maintenance fees. Your total pay-out will depend on the mining pool you’ve chosen and how much hash power you’ve allocated to it. Genesis Mining was founded in 2013 an is one of the oldest Bitcoin companies around. It’s definitely one of the most well-known companies when it comes to cloud mining. Genesis has a publicly known mining farm set up in Iceland. Mining contracts are technically available for all major cryptocurrencies and you can visit your online dashboard at any time to reallocate your purchased ‘hash power’ (so, for example, you could go 60% Bitcoin and 40% Litecoin). Genesis has three main investment options: Gold, Platinum Contract and Diamond Contract. In terms of fees, Genesis currently charges $0.00028 per GH/s for mining Bitcoin. The price of other cryptocurrencies may vary so we encourage you to make your own enquiries. The website has a payouts section which you can use to monitor how much you’ve mined. Due to high transaction fees on the network, your mined coins may need to meet a minimum threshold before the funds are actually transferred to your wallet. The company offers both mining and trading of Altcoins like Litecoin and Ethereum. IQMining rents power from data centers and also it can use it to mine the altcoins. Then, IQ Mining trades the Altcoins to the Bitcoin and successfully transfers your profit right into your wallet. What you really need to know is that this service is based on surpluses of big data centers and the Hash Power of your account. Hash Power (also called HP) shows the power you possess, which can influence your income. What does it mean? If you have a high hash rate and power, you will be able to discover more blocks and receive more profit from mining. The profit calculator on the official IQ Mining website claims users can expect to earn an average daily payout of $100 in exchange for an investment of just $500. And, the more you invest, the more money you can earn. If you invest $2500, for example, then you can earn $500 per day. Apparently, AlienCloud has Russian roots since one of its main languages is Russian and has partnership relations with Finom and TabTrader, the companies founded by the Russian programmers Kirill and Denis Suslov. AlienCloud positions itself as a platform that features a cloud mining service, a cryptocurrency exchange, and a secure cryptowallet. The user who has enough computing capacity can also participate in the mining pool, which may be slightly more profitable than investing in cloud mining. The platform provides cloud mining services for 7 major cryptocurrencies: Bitcoin, Ethereum, Zcash, Monero, Dash, Litecoin, and Bitcoin Gold, using the following algorithms: SHA-256, Ethash, Equilhash, Cryptonight, X11. AlienCloud offers the following advantages: user-friendly interface, low prices and no time limits contracts. NuVoo Mining focuses on providing users with the tools for them to take the first steps into the crypto/mining world. NuVoo offers a Cloud Mining, Dedicated Miner and Colocation Miner service. Nuvoo also offers solutions for experts and large-scale entrepreneurs from one-unit farm to multiple tier-1home dedicated mining farms. Nuvoo is based in Quebec, Canada, and offers a bilingual (French and English) live customer support service, so clients can get access to instant support. It also offers a nice ‘Lower Cost of Cooling feature’: Miners located in cooler parts of the world have a huge advantage. They can access reduced cooling costs as the NuVoo Mining’s data center is located in a tundra climate zone where cooling is not an issue for 10 months of the year. 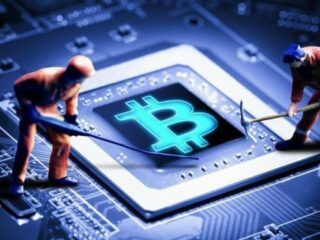 The Hashing 24 team claims to have been involved in Bitcoin mining since 2012, although the website itself has only been around since 2016. The company appears to have no data centers of its own, rather, it has partnered with big name providers such as BitFury to lease hashpower to customers. Note that Hashing24 is mentioned on Bitfury’s website, which may reassure customers that the operation is real. If you’re new to cloud mining, you can also use Hashing24’s demo mode to simulate a Bitcoin mining contract to see how much you might earn. 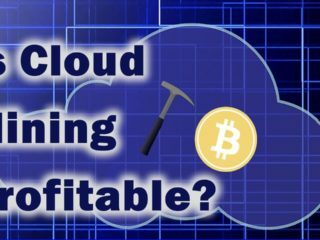 This is a good way to help you understand some of the concepts behind cloud mining, but won’t necessarily let you project future profits, as mining difficulty and BTC price will vary over time (naturally). Regardless of how you purchase your best bitcoin mining contract, Hashing24 charges a flat fee of $0.00033 per GH/s per day. There’s also a one-time fee for purchasing hashing power with a particular host. The platform supports the following coins: BTC, BCH, Doge, ETH, LTC, XRP and offers its investors several different types of plan they can use on their platform. To invest, they have to buy hashpower to mine coins and receive profits with time. There is also an affiliate program that rewards with 5%, 3%, 1% on deposits made by referrals that go up to 9 levels of affiliation with bonuses to the key for each level reached. CCG Mining offers not only investment in cloud mining contracts, but also sells custom pre-built mining rigs and VIP packages for large-scale investors. 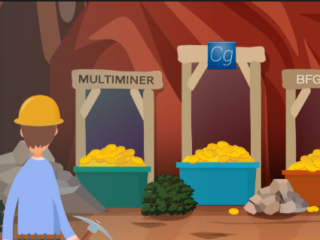 CCG Mining offers several cloud mining contracts – for following cryptocurrencies – BTC, ETH, ZCASH, MONERO, DASH, LTC, and LBRY. Cloud mining contracts for BTC and DASH are just for one year (although there is an option to purchase unlimited BTC mining contract), while ETH, ZCASH, MONERO, LTC, and LBRY for 2 years. Cheapest BTC 1-year contract cost $14.99 for 100GH/s (0.1TH/s). By choosing larger plans the price per hashing power decreases, for example, when investing in Starter plan, the price for 100 GH/s decreases to $12.49, Advanced to $11.97 and Pro $11.83. All, except BTC mining contracts, are exempt from a maintenance fee. In case of BTC, the maintenance fee for a contract is 0,00034 USD for GH/S per 24h. According to the calculator featured on CCG mining website, with a $1,000 we could buy 5,050 GH/s bitcoin hashing power in an Open-Ended contract. A year after in theory we would mine about 0.12 BTC and according to the exchange rates as of writing this article (April 20, 2018 1BTC= $8700.71) that would give us $1,050.49 at the end of a one-year contract. You are sold hash power for a given period of time. This hash power can be profitable if the price of the coin you are buying rises in value, but very often it can be just a scam. Keep in mind that when engaging in any type of cryptocurrency mining there are risks, but profitability is possible if you make the right choices. The risk of fraud and mismanagement is all too common in the cloud mining space. Investors should only invest in cloud mining if they are comfortable with these risks – as the saying goes, never invest more than you are willing to lose. Investigate social media channels, speak with former customers and ask pointed questions of operators prior to investing. Pay attention to the following characteristics when choosing a mining platform: reputation, customer support, fees, security/encryption and payouts. Ultimately, you should practice the same kind of due diligence that you would for any investment. There is no one nest cloud miner out there that can control mining computing power. Cloud mining generally means using shared processing power run from remote data centers. One only needs a home computer for communications, optional local bitcoin wallets and so on. 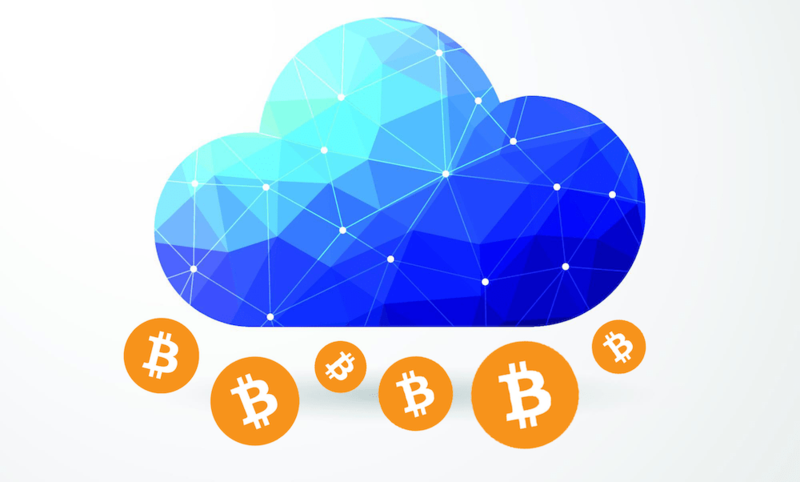 However, there are certain risks associated with cloud mining that investors need to understand prior to purchase.